Description: Bias Tape Maker makes the task of making bias tapes easy with a great looking result. Create your own bias tapes in minutes. 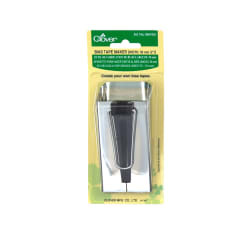 Perfect for Celtic Quilting; binding and more. Available in 5 different sizes (each sold separately). 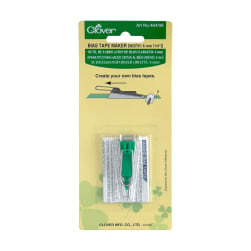 Description: CLOVER-Bias Tape Maker makes the task of making bias tapes easy with a great looking result. Create your own bias tapes in minutes. Perfect for Celtic Quilting; binding and more. Complete instructions included. 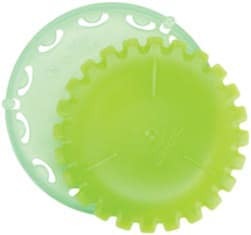 Description: A 2" diameter templates provide a quick and easy way to make nicely shaped yo-yos! Stitch yo-yo's together into various kinds of handkwork. Yo-yo's are great for embellishing end covers, table runners, bags, clothing and more.